Pork meat exports from the European Union have recorded steady and stable growth. During the first ten months of 2018, the European Union exported in total 3,277,110 tons of pork with a value of EUR 6,024 million. This represents a 1.8% increase in sales compared to the same period in the previous year. 4.4% of the entire volume of exported pork was sent to the United States, reaching the level of 142,797 tons. Compared to the same period of 2017, this represents an increase of as much as 7.3%. Thus, the United States was ranked 6th among the largest importers of European pork. The Canadian market also experienced substantial growth – by 10% – for which 21.4 thousand tons were exported. China remains the largest importer of European pork; it purchased 34.4% of the total volume (1,127,381 tons). 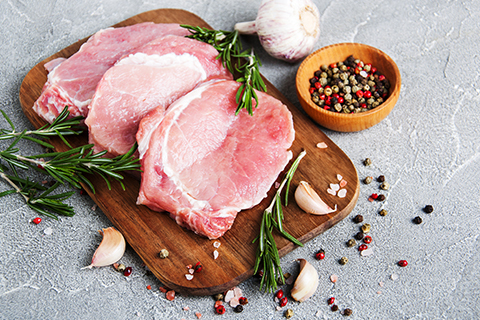 Southern Korea is also among the largest importers of European pork, which purchased about a quarter more than in the previous year (286,480 tons). Exports to the Philippines also experienced a 14% increase (246,981 tons). European pork enjoys high credibility from trade partners mainly due to its quality and long-standing reputation. The standards of meat production, including those concerning animal welfare, are unique throughout the world. Integrated production safety and quality management systems implemented in meat plants are very advanced and undergo constant improvement, which directly translates into meat quality. For example, as much as 58% of pork produced in Europe is qualified as class S.
The European Union remains the world’s largest exporter of pork. The United States is in second place, with exports reaching 2.3 million tons in the period from January to October 2018, ahead of Canada, which exported less than one million tons in this period.